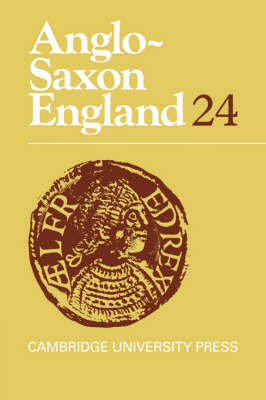 Our knowledge of Anglo-Saxon England depends wholly on the precise and detailed study of the texts that have come down to us from pre-Conquest times. The present book contains pioneering studies of some of these sources which have been neglected or misunderstood. A comprehensive study of a group of lavish gospelbooks written under the patronage of a late Anglo-Saxon countess, Judith of Flanders (sometime wife of the Earl Tostig who was killed at Stamford Bridge in 1066) shows the importance of these artefacts and provides fresh understanding of the transmission of the gospels in late eleventh-century England. Close analysis of the Libellus AEthelwoldi, a neglected Latin translation of a late tenth-century documentary record of the estates acquired by the redoubtable Bishop AEthelwold for Ely Abbey, throws significant light on the operations of the laws of land tenure in the late tenth century. These and other more traditional lines of enquiry are the focus of this book. The usual comprehensive bibliography of the previous year's publications in all branches of Anglo-Saxon studies rounds off the book.